This is the first release on Ernie Haase and Wayne Haun’s StowTown label for Beyond The Ashes, and also marks lead singer Dustin Doyle’s first mainline project since joining with tenor Anthony Facello and baritone Kellan Monroe. Wayne Haun produced this album for Beyond The Ashes. Overall: 9 There may not be a huge, knock your socks off song on this album, but there also isn’t one that will have you reaching for the skip button. Beyond The Ashes has really found their niche on the pop/R&B progressive end of the Southern Gospel spectrum, and the addition of Dustin Doyle has solidified their spot. Mark it down, Dustin Doyle will be recognized as one of the genre’s top lead vocalists, and sooner rather than later. Anthony Facello has developed a nice strong, full tone with a lot of soul in the tenor spot, Doyle is a star in the making, and Monroe has one of the most unique baritone voices in SG music. These three guys are all outstanding vocalists, and producer Wayne Haun really brought out the best in them on this album. While there may not be the one great song on this disc, it’s chock full of very good songs, the performances are exquisite, the arrangements well done, and this is one of the strongest CDs I’ve had the opportunity to review in quite a while. Don’t miss out on this CD, it is a job well done! It’s not often that the opportunity presents itself to review a group’s debut project, but I am excited to do just that for this quartet. 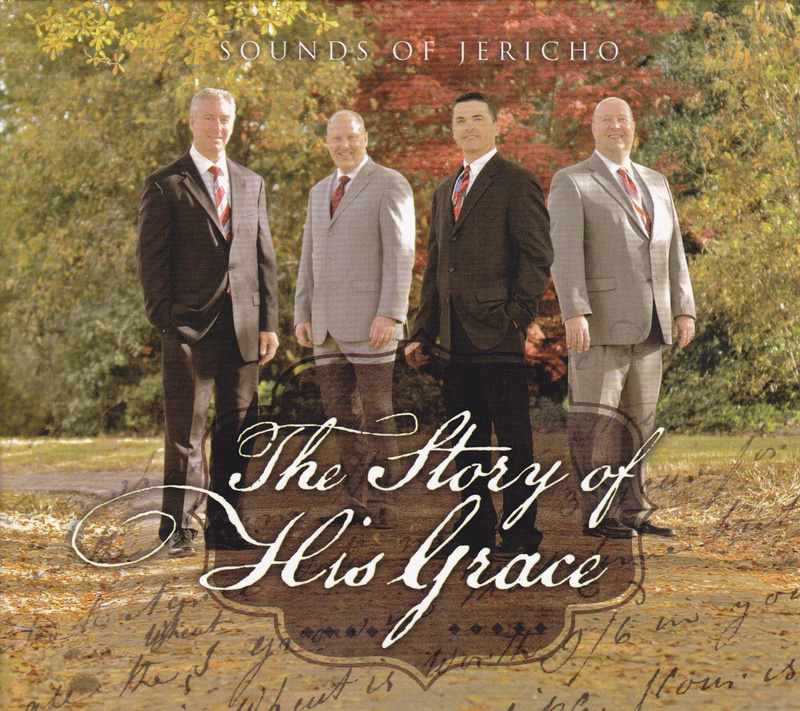 Bass Stacy Bragg and tenor Stephen Sigmon were original members of the Lefevre Quartet, and they’ve joined forces with Matt Tyler and Ken Thomas to form Sounds of Jericho. This CD was produced by Mark Dowdy. Overall 8 This is a good debut for the group, and 12 songs on the CD is a nice surprise when most established groups only give you 10. Four of the twelve are covers, but even in that the selection is nice, as two of them, “If The Lord” and “Operator”, aren’t songs you would immediately think of for a group to cover. I’ll echo what Aaron Swain said in his review that the vocalists all seem to have a good idea of their vocal ranges and don’t stray from where they are comfortable singing, which is always a plus. Sigmon has a nice full sound to his voice, Tyler carries his lion’s share of lead vocals admirably, Thomas has a smooth baritone voice that gets the chance to show a little range by occasionally jumping above Tyler’s lead, and Bragg sounds like he hasn’t missed a beat since leaving the Lefevre Quartet. Putting an acappella song on your debut album takes some guts, and they pulled it off pretty well. This is solid start, and I’ll be interested in watching how this group grows and forms their own identity over subsequent projects. Good job guys! This is the newest release from the Nelons. Produced by Jason Clark and Bill Gaither, the CD features vocals from Amber Thompson, Kelly Nelon Clark, and Jason Clark, with a guest appearance on the first track by Gaither. Overall: 8 Readers of my generation who also listened to secular music may remember when the television station MTV actually played music and had a show called “Unplugged” that featured stars of the day on a sound stage with (mostly) acoustic instruments. This album is “The Nelons Unplugged.” Nearly all of the instrumentation is acoustic, and the entire recording has a mellow, mountain flavor to it. There are spots in this recording that remind of you of The Isaacs in style. That isn’t a bad thing. I could have stood some more upbeat tracks, but this album has a “concept album” type feel, and it succeeds very well in staying true to that concept. Amber Thompson is very much in the forefront on this album, and her performances leave no doubt that she deserves the spotlight. She is already one of the top young vocalists in SG today. Kelly’s vocals are impeccable on this album, with her work on “Somebody’s Praying” keeping the song from the ranks of “ANOTHER version of this song?” territory, and hearing her sing “The Sun’s Coming Up” again is a special treat. The acoustic, mountain flavor of the album really plays to Jason Clark’s vocal strengths, he does very well in this style. Does this album measure up against their previous release, Beside Still Waters? Not really, but then again, I don’t think that was the idea behind this project. Come On Home is a chance for the Nelons to scale back the arrangements, and really let listeners become acquainted with each of the vocalists that make up the current configuration of the group. It does this exceedingly well. 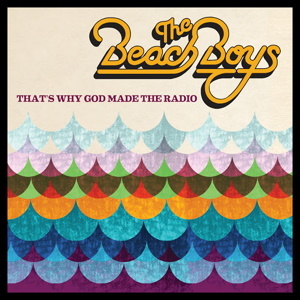 While there probably isn’t a chart topping single on the CD (though “Come To The River” or “Jesus, I Wanna Say I’m Sorry” would likely do well as radio songs), what this CD does give you is a pleasant, easy listen that can soothe a troubled mind. This would make a great CD to pop in when life seems to be spinning out of control, as it works well to soothe and calm the listener. If you’ve not heard the current version of the Nelons, pick a copy of this album up, as with 15 tracks it is a great way to immerse yourself in the current version of The Nelons. Great job by all involved! This is the first CD of primarily new material for EHSS since Devin McGlamery and Ian Owens joined. To call this a highly anticipated release would be a bit of an understatement, so let’s just get to the tracks. Overall: 8.5 As I have been listening to this album, I’ve had several other bloggers ask me my thoughts on it. My response hasn’t really changed much with repeated listens. When this album is good, it is REALLY good. When it’s not, it falls flat. There really isn’t much middle ground here. You can probably see in my individual song ratings that there really aren’t a lot of “middle ground” type ratings. Fortunately, there’s a lot more of the “really good” on this album than the “falls flat.” Doug Anderson and Devin McGlamery in particular really get some chances to shine on this album. “Sometimes I Wonder”, “Here We Are Again”, “I’ve Been Here Before”, and “Singing In The Midnight Hour” are fantastic songs. “Any Other Man” could be a defining point not only in the group’s career, but in the SG genre as a whole. There are moments on this album that are magnificent. When this album does fall, it isn’t for bad singing, or missed notes, or anything like that. 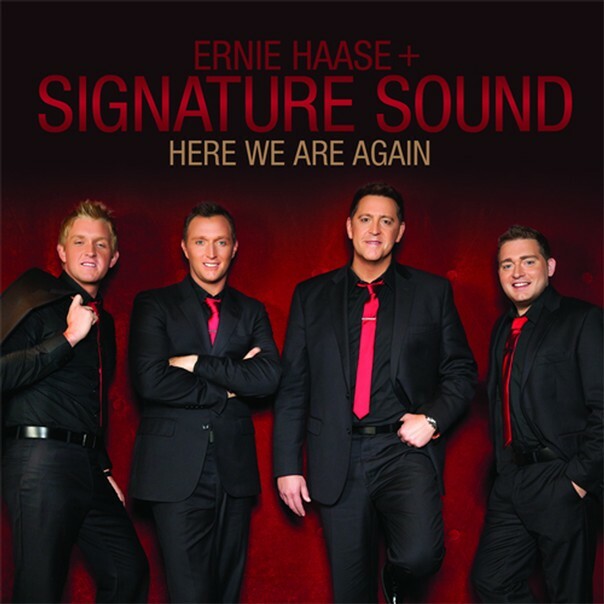 It’s fairly obvious that the main focus of Ernie Haase and Signature Sound is their live performances. They are focused on providing concert goers with an uplifting, entertaining evening with songs that have messages pointing toward their Savior. As a result, sometimes songs and arrangements that come across well in concert, especially songs that are meant to be more lighthearted and fun, don’t necessarily translate well to the studio. I made this point in a conversation with another blogger, and I still think it’s a valid one: when you go all out in the studio, like Ernie did with “Everytime”, what is there left to bring to the live performance of the song? My personal preference would be to tone it down just a little on the studio version, then “go crazy” with it live. By doing so, you bring that extra “oomph” to the live concert experience. So overall, I think this is a fine CD with a lot of great performances, but with a couple that are probably skip worthy. Again, both of those probably come across great in a live performance, but just don’t really translate well to CD. Still, Ernie and the guys, including pianist and producer Wayne Haun, are definitely not afraid to take risks and try something new, and that in and of itself is much to their credit. Nice job, guys.